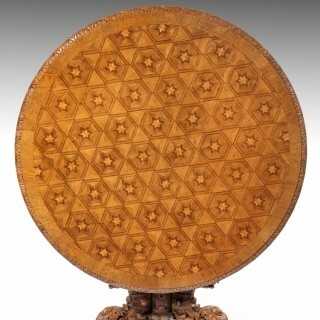 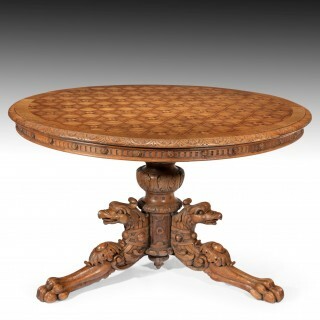 A wonderful and rare mid 19th Century circular oak parquetry inlaid tilt top table on carved griffon base. 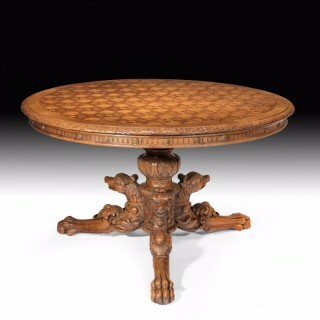 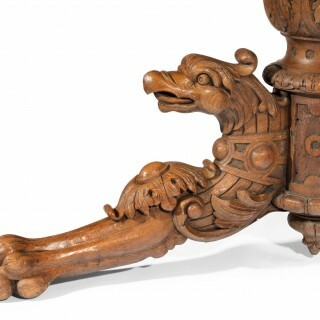 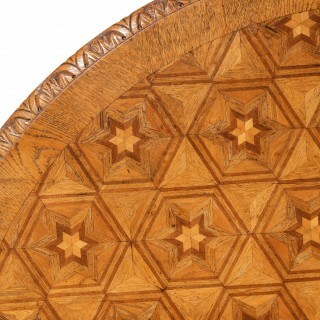 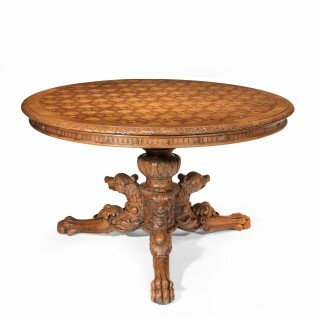 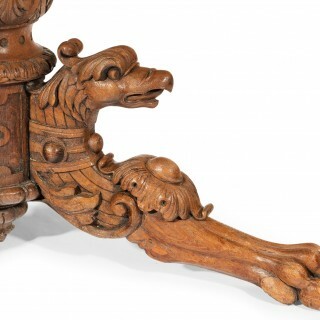 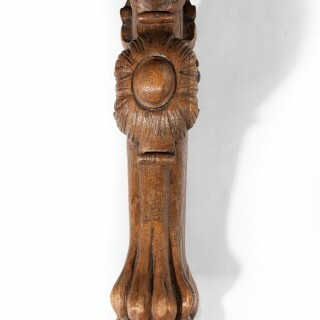 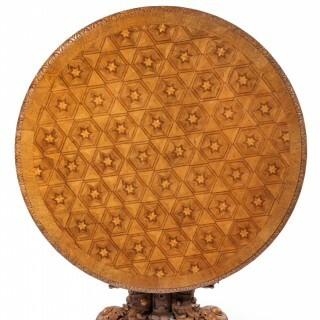 The large oak circular top being inlaid with a repeated ‘trompe l’oeil’ star motif with a carved foliate edge having a fluted frieze with rosettes above a carved triform pedestal base with griffon masks and terminating on lion paw feet. 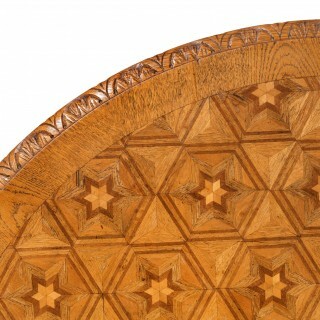 The top can be tilted up when not in use as a dining table to show off its decorative inlaid top. 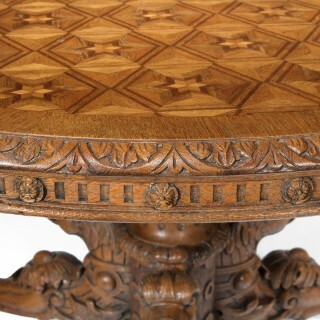 In excellent condition with a beautiful colour this rare oak table can be used as a breakfast table, dining table or would look exceptional as a centre table. 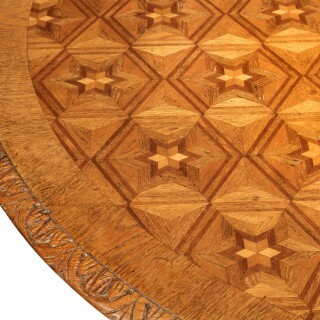 A fine quality table of excellent proportions and design.